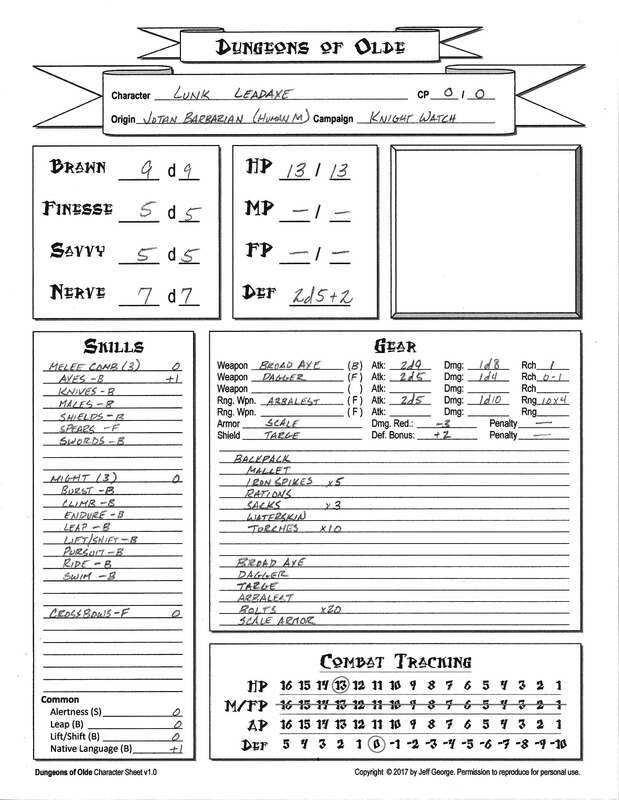 Here you'll find printable Dungeons of Olde play aids, including character sheets and gamemaster reference sheets and screens. 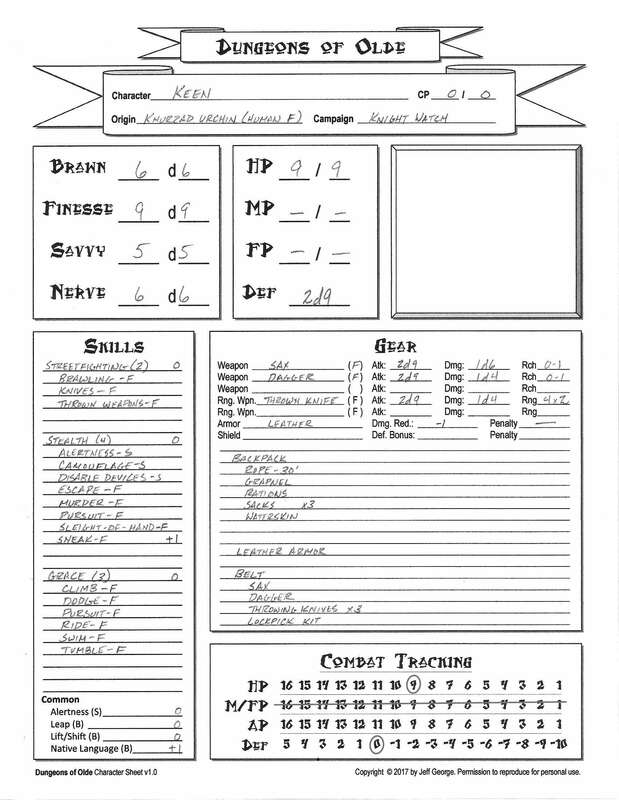 This is the most current Dungeons of Olde character sheet for player heroes. We've included a blank sheet as a .pdf, and scans of filled-in sample characters. These pages present all the tables in Dungeons of Olde, organized and ordered for quick reference. Most of the rules text has been omitted, to maximize the amount of data on each page!